Then one day, a wary smile curved after heard my beloved supervisor said "So, Amal..hurry up on your thesis writing..so, we can finish your study at the end of this semester"
But wary smile becomes worry, as I started my thesis writing for the first submission. Dear Allah, why is this SGS(school of graduate studies) people make it hard? 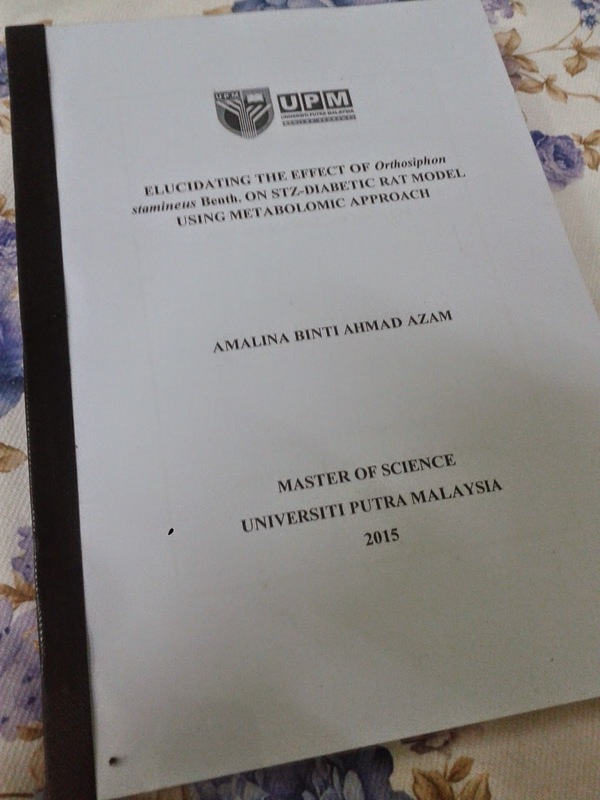 Thus, here I am...want to share some info which might help you in preparing for the first thesis submission. You have to submit all the documents before the deadline. You can find the deadline announcement in Student portal. Second ,confusion happen as there are two time submission of thesis. Ok....how do you know whether you can submit your first thesis submission?? 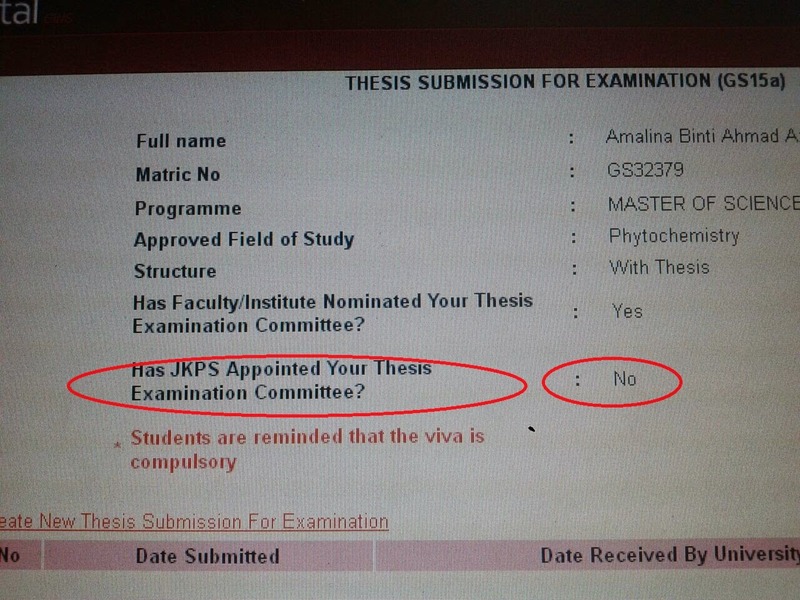 if the status in the circle showed "no", thus you cannot submit your thesis (this is what the SGS people said). You must wait for the status update changing to "Yes". but, the are some cases (like me), where the JKPS has approved the commitee but to update the status itself on the student portal take around 1 month (they say). So, you better asked the officer first if you and your supervisor have been submitted the notice and has been appointed the examiner commity within the time limit given (6months time). In my case, SGS give permission to submit my thesis first because the last thesis submission date was so near that they dont have enough time to update my status in the online section. note that you have to submit also the GS-15a form after they update the online system. Or else, your thesis will not proceed for examination. 2. Turnitin is a must. You just need to print the harcopy of your Turnitin report using software from turnitin.com. Not the whole document. When you see the first page from your whole report (like below). Do select it as your first page until the last page to print. You don't have to pay full fees (RM 1k++) once you submit your thesis. Only RM350 are need as thesis fees. Hi there, thank you for your detailed explanation. I do find it useful. ^-^. Hi, thanks for your entry. Btw sy nak tanya if saya hantar gs14a 3 bulan before tarikh sgs tetapkan dateline for thesis submission sempat x saya nak submit thesis?. very sorry..for my late reply..
May I know if already passed the 1st date of thesis submission for students exceed in their maximum semester (which is earlier normally), do I need to submit extend semester form again and register for next sem? And then pays for rm1350? 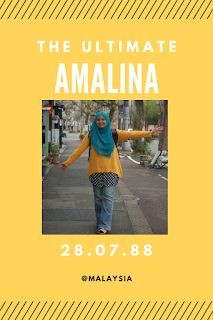 Hi Amalina....thanks for the entry..fuhh...but still im a bit confuse bout the thesis fee..so do i need to pay the thesis fee when im submitting my thesis? (Thesis+ 350) at the counter...do you get me? 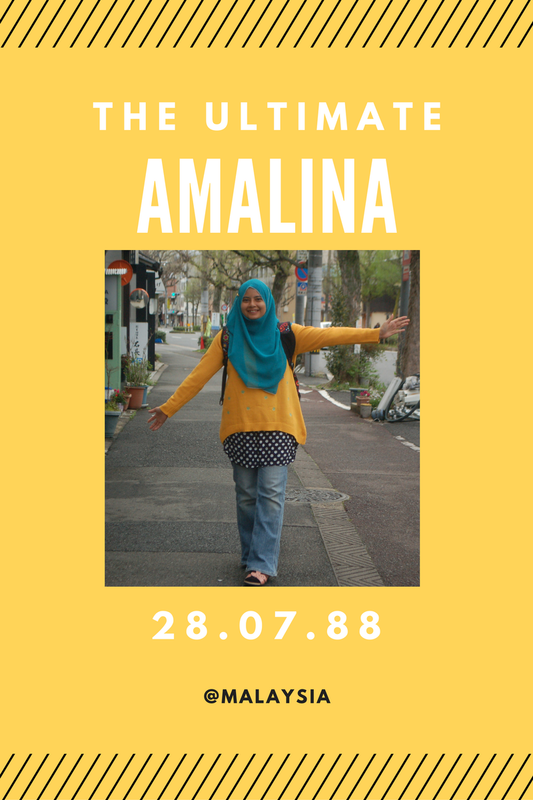 Im so sorry the link cant directed to other post..need to correct it after dis..you can also click the label "postgrad life"..all the related post will pop out..
Hello Amalina....Sorry to bother you... I just wanted to ask..What is the acceptable result for Turnitin?.. I've been looking for any kind of thesis submission flowchart in SGS website but failed to find one. They only put up a reminder like the one you uploaded in the first part blog entry. That one is not much detail. Luckily found your blog. At least I got some ideas what to do after this and this. I really wish they produce one detailed flowchart la. What to submit, when the due date, what next step. Haihhh. Hi, Thank for your informative blog. I'm going to submit my first thesis submission, my question is where I can find all those declaration form, and all sort of documents that required to be in the thesis as mentioned in guidelines thesis preparation? Thanks.